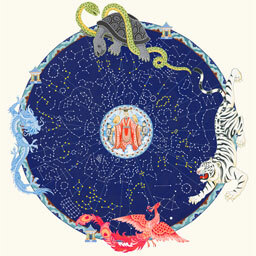 In this series entitled 'Polestar Astrology' (also known as Zi Wei Dou Shu or Purple Star Astrology), Rachael Henrichsen teaches how to create and read a Chinese Polestar Natal Chart according to the Song Dynasty system of Astrology. Rachael, who studied this subject extensively with of Liu Ming, will be teaching this course at least once a month for the next two years. 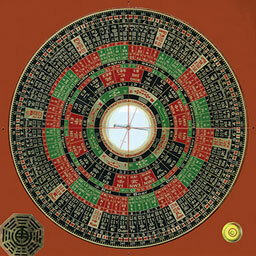 The system of Zi Wei Dou Shu, also known as Chinese Polestar Astrology has existed for over 1000 years. It was created during a golden age in China, when many resources were put to use to discover, observe, and record life from a human perspective. Due to the repetitive qualities of nature (sunrise / sunset / summer/ winter), it was possible to observe, name and characterize qi. Patterns arise throughout the natural world as situation repeat themselves and find a way toward resolution. We all share in the patterns and natural archetypes of humanity, and in the cycles of life that have connected us to each other and our ancestors since the beginning of time. Chinese Astrology was developed as a system to describe and interact with the different flavors of movement (qi) using imagery and mathematics (e.g. 12 animals / 5 elements). It is important to understand the imagery of the 12 zodiac animals and 5 elements are simply a metaphoric language describing the facets and flavors of change itself; the real nature of our experience is a constantly unfolding, non-solidified, un-abiding movement of qi. The profundity of the Chinese Tradition is found in the direct experience that everything is in a constant process of change (qi) - as opposed to the particulars (names) of what qi is changing into. The idea of fate, is an honest observation of how humans gravitate toward self-resolving patterns as we navigate through life. Chinese Polestar Astrology is a way to gaze into these patterns, specifically looking into an individuals' character and fate. As we have all come into the world at a certain moment, within a patter of qi, we have similarities with that pattern. Through Chinese Polestar Astrology we can look at a person's birth time and begin to observe the patterns of fate and freedom that patterns their lives. All classes are held at Academy of Chinese Culture and Health Sciences (ACCHS) in Oakland CA. In this ongoing class, we enter into the exploration of Flying Star feng shui and a more in-depth and advanced study of the luopan compass. The Universe is ever changing and natural influences evolve with the passage of time. Flying Star feng shui incorporates the elements of time and space. It will enable you to trace the pattern of change through the 20 year periods called "ages". It makes it possible to access the fortune of a dwelling. With practice, one can learn how to unblock energies that affect the aspects of prosperity and health in a dwelling. The luopan compass is the essential tool in TCFS. Its many rings reveal vital information in assessing a dwelling or building site and contain a large body of knowledge that encompasses classical Chinese philosophy, numerology and cosmology. The Chinese luopan can take a long time to master since it requires prior learning of the Chinese characters. Our luopan simplifies the process and makes it easier for the Western student to learn and use. Recognize the cycles of time and different ages. Map year and month charts. Understand chart combinations, including inauspicious combinations. Apply the appropriate cures (techniques for reversing ill fortune and improving luck). Understand the symbolism of numerology including analyzing addresses and phone numbers. Integrate previous knowledge of the form and Ming Kwa schools with the flying star to produce a professional report. Integrate associations of the 8 trigrams (body parts, family member, symbolism, directions) to further predict the tendencies involved. Locate the 'hsueh' - (the feng shui spot). Map the Lo Shu portents of your dwelling. Identify the 'flying star' ring. Identify the directionology associated with your year of birth and integrate it into your design; including the position of the Xian Chi for enhancement of relationships. Flying Star Feng Shui is the most widely used method used in Asia. Many of our students have also studied Flying Star feng shui and the luopan with other teachers. Their reporting has been consistent: Our teachers have offered them the clearest, and most understandable discourse on the subject, and their methods simplify the processes so that they are truly usable on every project. While we strive to strictly adhere to our schedule, we reserve the right to change dates and/or teachers if due to unforseen circumstances. GGFSS is one of the leading schools of Traditional Chinese Feng Shui in the country. For over 10 years students from around the world have chosen this academy for its internationally renowned faculty members and a curriculum designed to illuminate the depth of this field. By offering a strong foundation in the historical context and philosophical underpinnings of feng shui, our students are able to understand its application and practice in an integrated manner. Elegantly simple and technically intricate, feng shui can be approached from a range of depths. Our curriculum offers students the opportunity to study at any level.